Defending champions of the African Women’s Cup of Nations, Nigeria will depart the country through the Nnamdi Azikiwe International Airport, Abuja on Sunday to take part in the annual Cyprus Women’s Cup tournament which begins on Wednesday, 27th February in Larnaca. Head Coach Thomas Dennerby has selected 24 players for the tournament, which will also welcome another of Africa’s three flag-bearers at this summer’s FIFA Women’s World Cup finals in France – South Africa – as well as Mexico, Italy, Finland, Belgium, Slovakia, Korea DPR, Czech Republic, Thailand, Hungary and Austria. The Super Falcons’ will begin the tournament against Austria, on the evening of Wednesday, 27th February, before further games against Slovakia (Friday, 1st March) and Belgium (Monday, 4th March) in the group phase. Wednesday, 6th March has been fixed for the final match of the competition, as well as other classification matches (from 3rd – 12th). Players and officials are scheduled to arrive in Abuja on Friday, with training sessions on Friday evening, Saturday and Sunday morning, before departure by Egypt Air on Sunday evening. The delegation will sleep in Cairo on Sunday and arrive in Larnaca on Monday. 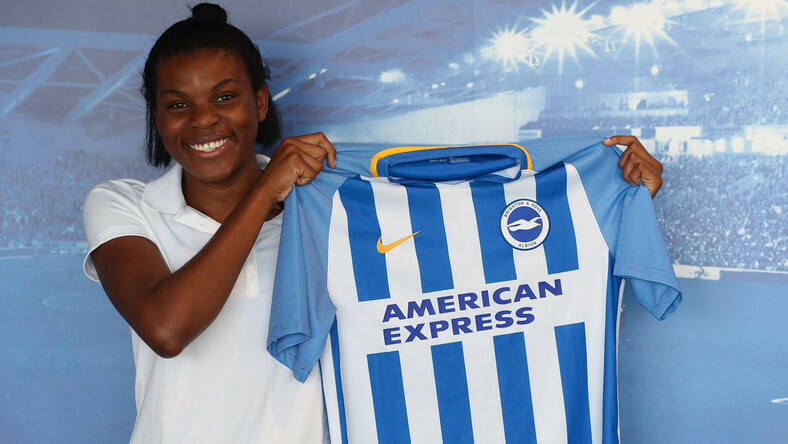 Former African Woman Player of the Year, Asisat Oshoala and fellow striker Desire Oparanozie, who both missed the China Women’s Tournament in January, have been included in the 24 –member squad this time. There are also goalkeepers Tochukwu Oluehi and Chiamaka Nnadozie, defenders Onome Ebi, Osinachi Ohale, Glory Ogbonna, and Faith Michael, midfielders Rita Chikwelu, Amarachi Okoronkwo, Ngozi Okobi and Halimatu Ayinde, and forwards Chinwendu Ihezuo, Ini-Abasi Umotong, Rasheedat Ajibade and Francisca Ordega. Former junior international Uchenna Kanu, now a student in the United States of America, is also called. In China, the Falcons lost 0-3 to the host nation before bouncing back to whiplash Romania 4-1 in Meizhou.